We’ve come too far to give up who we are. Yeah, all right, it’s a line from Daft Punk’s “Get Lucky,” but I think it accurately describes how we often feel when we’re in a new city and are absolutely CLUELESS about the interesting things to do (let alone where we can find a decent donut). Attempting to accost random people for recommendations is awkward, and you don’t have them on you 24/7 (because, I mean, that would be weird), but we do have our smartphones – that’s where Sooligan comes in. Digital word-of-mouth: this is what Sooligan is offering. It’s based on the idea that people (both natives and transplants to a city) should be able to engage in community-centered dialogue through a digital means. Sooligan is a real-time social search platform where users can find and share opinions on the various experiences that take place in any given city. The app (currently only available on iOS) gives a user insight on the ins and outs of a city, as well as the opportunity to engage with other users in ways that let them feel like a part of the local community. “Users leave up-to-second RAVES and RANTS about every aspect of their daily lives – from the weather, to traffic, to classes, restaurants, and local businesses, or football games. This creates an interactive snapshot of the current culture and local sentiments of any city, at any time,” says cofounder Natasia Malaihollo. Unlike Yelp or Foursquare, Sooligan doesn’t limit itself to seeking out nearby restaurants or businesses; rather, the app provides users with a city-wide perspective on what locals are “raving” or “ranting” about, giving users more information in determining where to eat or what to check out. Based on their location and what they’ve raved or ranted about, users are also provided with relevant local deals. Further, Sooligan aims to provide people with information on the overall culture of a city (to truly experience the city); so, users have the opportunity to rave about the annual latke festival organized by Bulligan’s Restaurant or to rant about the poor quality of taxis on the eastern side of the city. Because of its real-time functionality, users can pose questions on Sooligan (e.g., where can I find a good magic show?) and receive answers from others using the app. 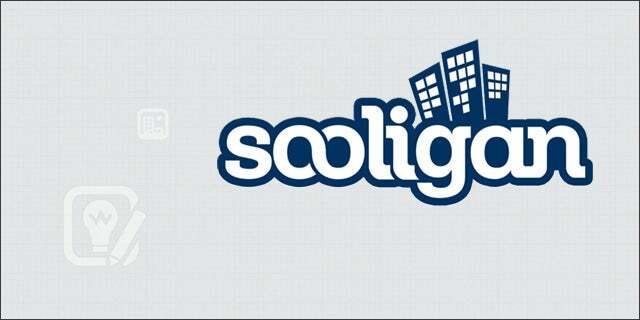 The overall goal, here, for Sooligan: ease a user’s transition into the local culture. “Our vision for Sooligan is that one day people can travel or move to any city, and without knowing a single person there, be able to get around and feel like a local,” says Malaihollo. You can find out more about Sooligan on its website, or download the app on iOS. Sooligan showcased in Tech Cocktail’s San Francisco Mixer last month.